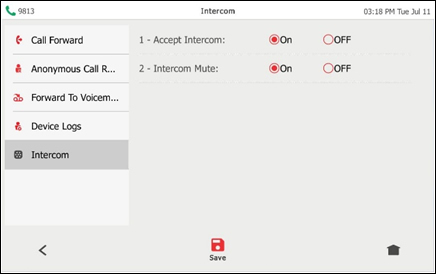 Intercom is a user level feature available for compatible One Talk Desk Phone models. 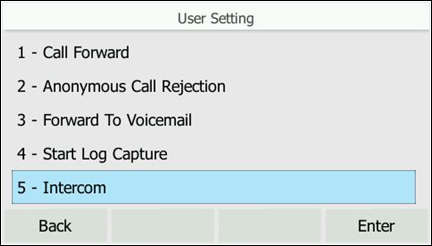 The feature is enabled by the end user on each Desk Phone as opposed to a setting in the One Talk portal. Once enabled, customers using compatible Desk Phones can place direct calls from their One Talk extensions to other One Talk extensions". When the phone call connects to a receiving One Talk Desk Phone, the call is auto answered by the speaker phone, allowing the parties to immediately begin a 2-way conversation. Intercom is supported on One Talk Desk Phone models T41P, T46G, T46GW, or T49G required (CP860 and One Talk DECT IP Cordless Phone - W56HV not supported). 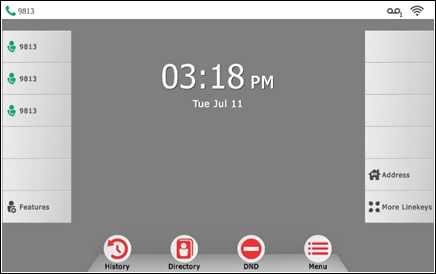 From the Home screen, press the Features softkey. Using the appropriate softkeys highlight the 'Accept Intercom' to enable or disable. 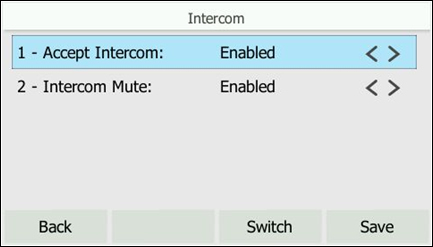 Using the appropriate softkeys highlight 'Intercom Mute' to enable or disable. Disable Mute allows the customer to be able to talk back when receiving an intercom call. 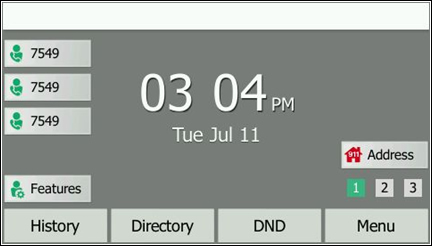 From the Home screen, press the Features soft key. Using the navigation arrow keys, highlight Intercom then select Enable or Disable. 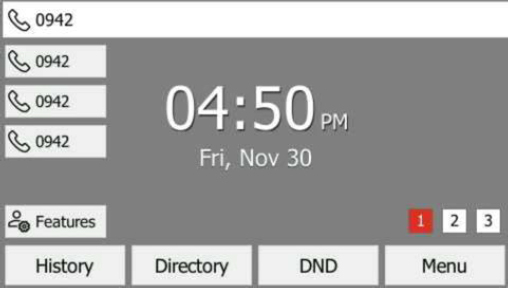 From the Home screen, tap Features. From the 'Accept Intercom' section, tap On or Off to enable / disable. From the 'Intercom Mute' section, tap Off to disable.